Suevite blocks from the Ries Crater Museum. These fantastic little blocks of Suevite were cut from a piece of the historic Church of St. George in Ries Crater, Germany, which was removed for restoration. The church was constructed during the middle ages out of this beautiful meteorite impactite. 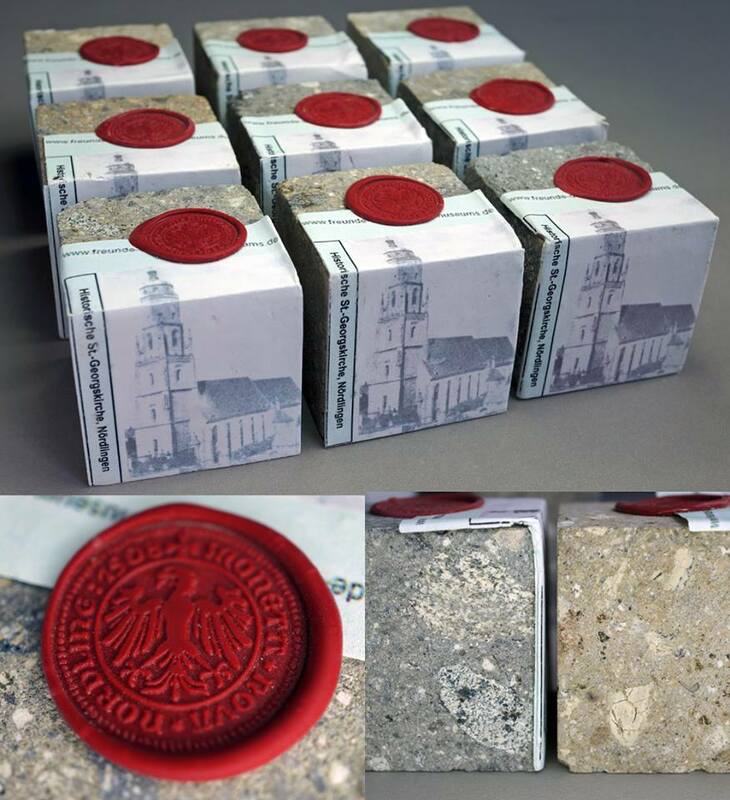 Each block bears the historic wax seal of t he city of Noerdlingen as well as the small fold-out label detailing its history (in German), Each block measures 45 x 45 mm. Please note that each block is unique and bears imperfections from the cutting process such as chips and nicked corners.